Life Science and Art are deeply intertwined. In the late Renaissance, Leonardo da Vinci studied human anatomy producing exquisite anatomical drawings alongside his designs for flying machines. In 1859, Darwin famously referenced the evolution of “endless forms most beautiful.” And from the turn of the 20th century to the present, the concepts and materials of biology have penetrated the visual and performance arts through avenues as varied as DNA and protein structure-motivated dances and plays, tissue culture-based sculptures and prints, and even evolution-inspired rap. In past and in present, creative art, aesthetic judgments, and the life sciences have been integral to one another. On Friday October 21st 2016, we will convene a public symposium bringing together scientists, performance and visual artists, educators, historians, and anthropologists to share their perspectives on this powerful intersection. Together, we aim to celebrate and raise awareness of the interconnections between the arts and the life sciences, and to provoke discussions of how biological knowledge and artistic expression might continue to explain the workings of the natural world, while simultaneously allowing us to appreciate and manipulate it. This Symposium is being organized by Rutgers, The State University of New Jersey and Princeton University. 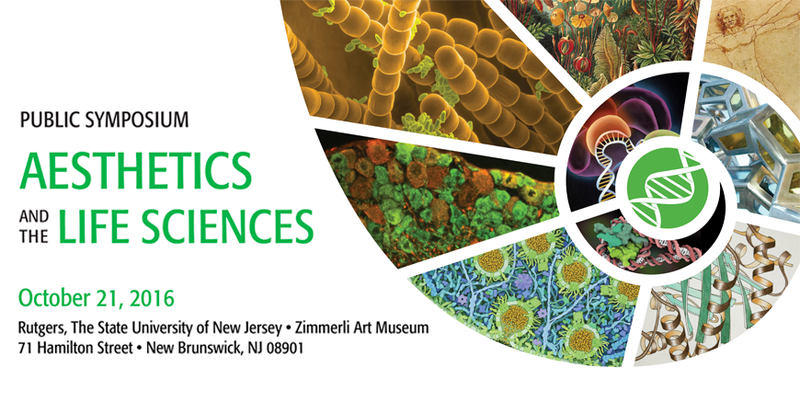 The event is sponsored by Rutgers School of Arts and Sciences, Center for Integrative Proteomics Research and the Institute for Quantitative Biomedicine, with additional support from the Wellcome Trust and the Center for Collaborative History at Princeton University. Lunch will be provided for registered participants, but space is limited. Register now at artlifesci.rcsb.org. 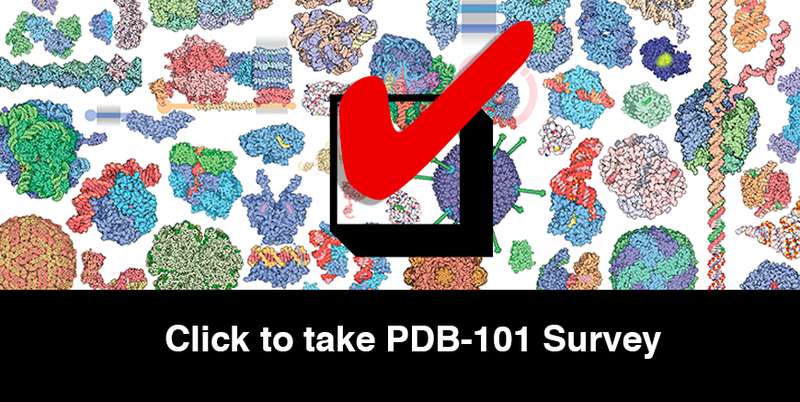 Do you visit Molecule of the Month and PDB-101? Please take our brief survey to help us improve our services.